The insane gross materialism of the mining industry is of course nothing new and certainly not limited to the right wing of politics. Of course! Chris Hartcher supports the Coal Seem Gas and coal industry. As did the supposedly left-wing former premier of Queensland Anna Bligh and her cohort. These individuals are certainly power junkies addicted, not only to power but compromise as well. In supporting the Coal and Coal Seam Gas industry they invite grave karma on the heads of the people whom they are supposed to be serving. Same same. Not enough people the world over – people in general and in politics specifically – wants to stand up and accept responsibility for carbon emissions and environmental destruction. And so it came to pass that . . . inevitably, a giant super-storm hurricane called Sandy slammed into New York and New Jersey not to mention Jamaica, Haiti and Cuba. The planet speaks to us not with the useless words of politicians but with the powerful force of nature. Guess whose point of view will prevail? The reductionist scientific paradigm demands everything has to be measured. And so it is that the experts have their tape measures out measuring Hurricane Sandy. Was it or wasn’t it? Of course there is an important place for the type of reductionist materialism that this behaviour represents. Well . . .in our world there is a good place for it on account of the fact that in this era our consciousness is so dense and covered over that we seem thoroughly incapable of the kind of Earth wisdom that the native tribal peoples of say the Americas still have access to. And of course they are not the only ones. There would be no trouble in certain circles to understand that super-storm Hurricane Sandy was caused by a lack of integrity and alignment with the soul of our living planet – Sanat Kumara in communion with the planetary Logos (AKA Goddess Gaia). Of course this sounds like gobbeldy gook to most Western ears. On the other hand any reasonable amount of research would suggest it may well be true. Most of the political types wouldn’t really understand that the planet is alive. . .so how can they understand the most basic facts of the matter? 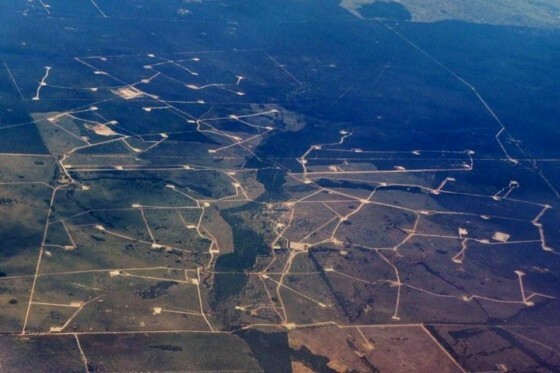 The disturbances that are being wrought by coal seam gas extraction and the resulting karma – the poisoning of aquifers and agricultural land for starters – will visit terrible diseases and calamities upon the people. The cautionary principle would seem to be the only hope for the power junkie block-heads who can see nothing subtle. But the fools have mostly abandoned this a long time ago in favour of their flavour of fascism. It’s all about the dollar and it would seem, scarce little else. This is the world we now live in. These things must be talked about, not because the fools are about to change. Certainly telling them how foolish they are seems to have little or no effect. And it does ones own soul no good to point the finger of blame. The telling is simply a service in the Apocalypse – the lifting of the veil of secrecy and lies in a time of evil and corruption. This is the tsunami that has engulfed us. This is the total eclipse of our times. These are the end times prophesied in the bible and this is indeed the start of the New Age, the Golden Age. Prayer, meditation, being conscious, having a good heart and practicing the blessed unrest are among the most powerful resonators we have at our disposal. The new resonance is what will transform the logjam of the political power-junkies and business bad-asses. Their world will be swept away like matchsticks in a flood. What One person can do will be of little consequence and all of the consequence. Paradoxically enough. Coal Seam Gas extraction will soon be seen – in the not-too distant future – as one of the greatest environmental crimes ever perpetrated. This is a lime flavoured prediction. Those responsible for it will be held to account – both the politicians who allowed it and the business people who pushed it, who perpetrated it.